Principal photography has begun in Belfast on the Heather Graham-starring romantic comedy Buy Borrow Steal, which is being directed by UK director Eric Styles (Relative Values) for Doris Kirch's Blue Angel Films Ltd.
Based on a script by Camilla Leslie, which won the Best Screenplay Prize at the Hamptons Film Festival in 2004, Buy Borrow Steal centres on an ambitious young London professional (played by Graham) who learns that she has only one month left in which to conceive a child. After exhausting all possibilities with her baby-phobic boyfriend (Tom Ellis, known for his role as Dr Oliver Cousins in Eastenders), the film's heroine turns to her wildly optimistic friend (played by Black Dahlia's Mia Kirshner) with whom she sets out to identify and 'land' the perfect father for her child. Buy Borrow Steal, which is being co-produced by Ludwigsburg-based Miromar Entertainment with backing from the Northern Ireland Film & Television Commission (NIFTC), is shooting under the new UK tax credit scheme and is aimed at the international market. 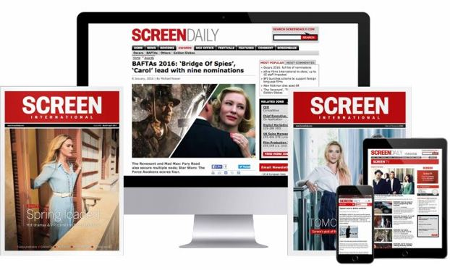 Speaking to ScreenDaily from the Belfast set, Doris Kirch explained that negotiations are currently underway to secure US distribution and a world sales company for the film which will complete principal photography on May 4. A trailer for the film will be available in time to show prospective buyers at the Cannes Market (May 16-27).